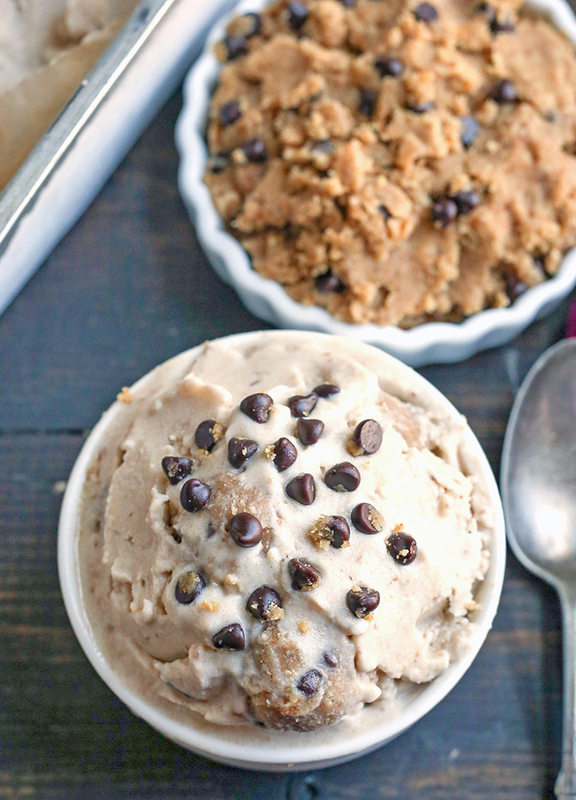 This Paleo Cookie Dough Ice Cream is rich, creamy, and so delicious. 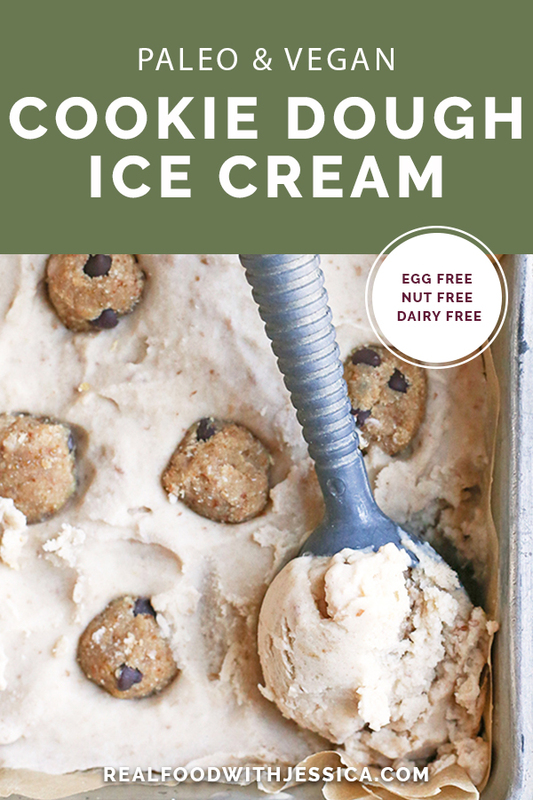 Vanilla dairy free ice cream with chunks of edible cookie dough that is vegan, nut free, egg free, gluten free, and naturally sweetened. 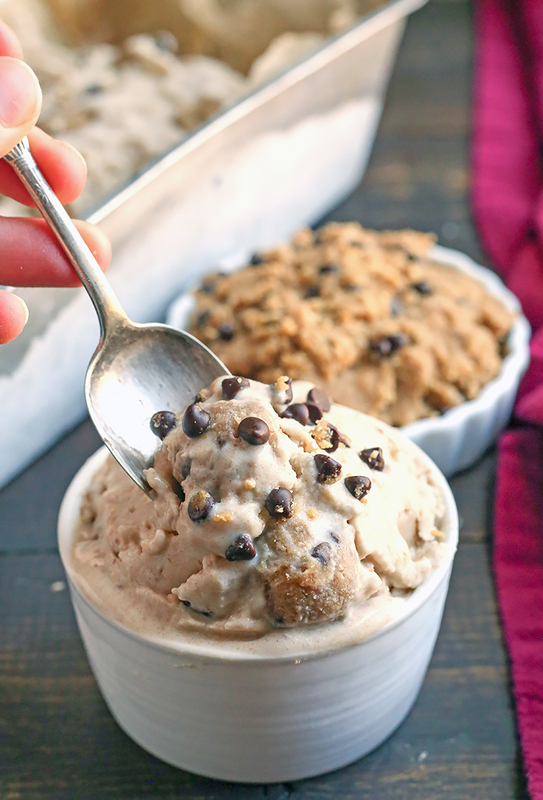 I think cookie dough ice cream is one of the most popular flavors and I’m super excited to be sharing this recipe of a healthier version. Using coconut milk as the base of the ice cream works great and the fat keeps it creamy. It’s sweetened with dates and even though I like to use gelatin in ice cream to keep it creamy, this didn’t need it. And no egg yolks are used either (a common ingredient) so that makes this ice cream vegan. Just make sure to use coconut oil in the cookie dough instead of the ghee. I was making this and thinking about the cookie dough. My sister was coming over so I wanted to make sure she could have it and she tolerates coconut flour better than almond flour so the cookie dough is nut free. 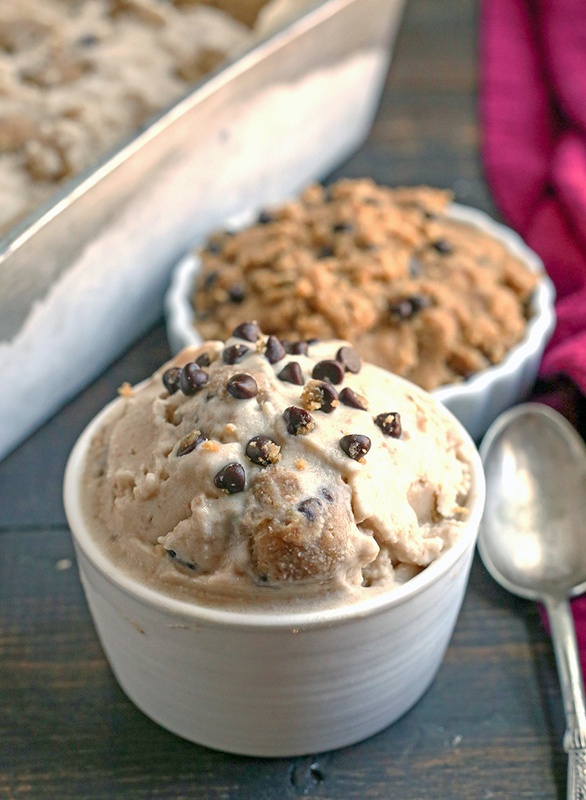 It tastes exactly like cookie dough still- sweet, rich, buttery and I know you’ll love it! I did include and almond flour version in the notes for those that don’t need nut-free. While we’re talking about the cookie dough let’s discuss some important parts. Baking soda is added which may seem weird since it’s not getting baked, but it gives a signature cookie dough taste so don’t leave it out. Also, the vanilla is so important. This is the other key ingredient to make it taste like classic cookie dough that we all know and love. I absolutely love the date sweetened ice cream and it would be good enough on it’s own. It’s sweet and creamy with a slight carmel-y flavor. Just warm up one can of coconut milk and dates to let the dates soften. Then blend in a blender or food processor with the other can of coconut milk and vanilla until smooth. Let the mixture chill overnight (or minimum 4 hours) and then churn the next day. 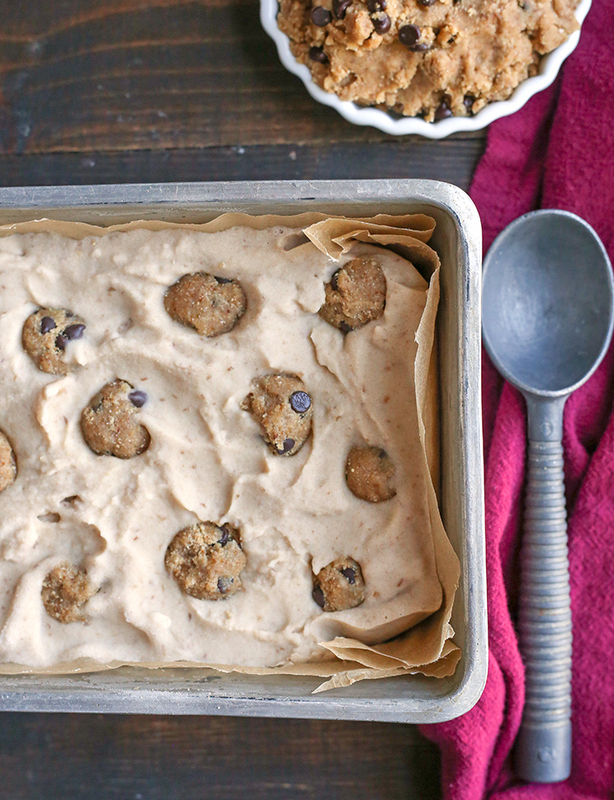 You’ll want to make the cookie dough a day (or a few hours) ahead as well. 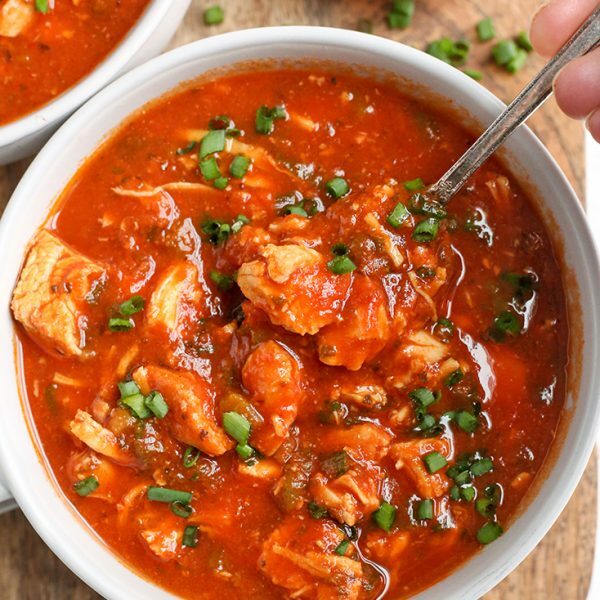 Mix up all the ingredients and then roll it into 1 teaspoon balls. 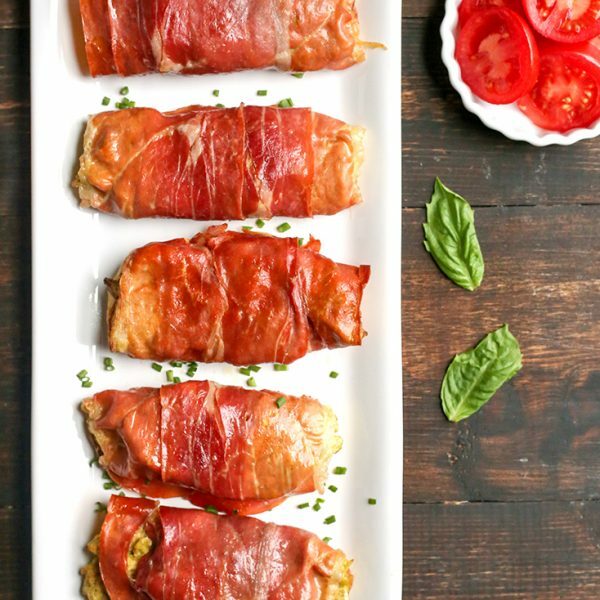 Place on a parchment lined pan and place in the freezer overnight. The next day, after the ice cream is churned, stir in by hand. This really is an easy ice cream to make, you just need to plan a day in advance. It’s definitely worth it. Creamy ice cream with chucks of sweet cookie dough. Enjoy! Here are some more ice cream recipes you will enjoy: Paleo Mint Chocolate Chip Ice Cream, Paleo Lemon Zest Ice Cream, Paleo Pumpkin Ice Cream. HERE is the ice cream maker I have and love. It’ affordable and I’ve used it so many times. Place the ice cream bowl in the freezer and let it freeze for at least 24 hours before making the ice cream. Make the cookie dough. In a medium bowl, combine coconut flour, coconut sugar, ghee, sunbutter, and maple syrup together. Mix well until it is well combined. Add in the salt, baking soda vanilla and chocolate chips. Mix until everything is combined. Line a baking dish (9x9 works) with parchment paper. Roll the cookie dough into 1 teaspoon balls and place on the parchment paper. 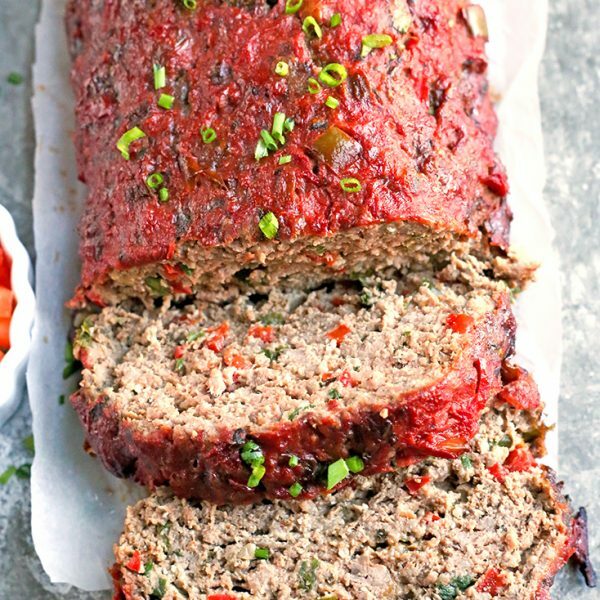 Once they are all rolled, place the dish in the freezer and let harden for at least 2 hours or over night. Make the ice cream. Combine one can of coconut milk, the dates and the salt in a small sauce pan. Heat over medium heat until mixture is warm, but you don't need to boil it. About 5 minutes. Take off the heat and add the mixture to a blender. Add the other can of coconut milk and vanilla and blend until smooth. 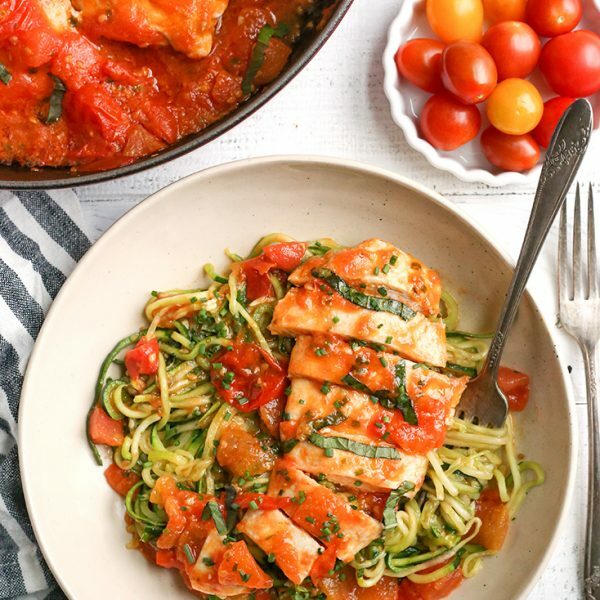 Pour mixture into a glass container and store it in the fridge for at least 4 hours, until chilled, or over night. Pour the cooled mixture into your ice cream maker and follow manufacturers directions for churning. Mine took about 12 minutes. Once it's done churning scoop into the prepared pan and mix in the cookie dough balls and you layer it. Leave a few for the top if you want. Eat immediately for soft serve consistency or freeze for scoop-able. After removing it from the freezer, let it sit at room temperature for 10 minutes to make it easier to scoop. 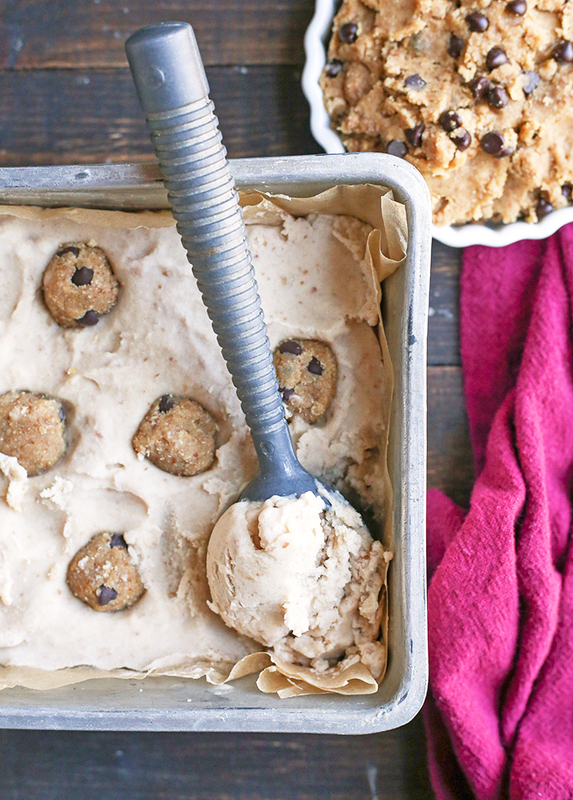 *If you don't need a nut free cookie dough then you can use this one. 1 cup almond flour, 1 tablespoon coconut flour, 3 tablespoons coconut sugar, 1/4 teaspoon salt, 1/4 teaspoon baking soda, 2 tablespoons cashew (or almond) butter, 2 tablespoons ghee, 2 tablespoons maple syrup, 1 teaspoon vanilla, 3 tablespoons mini dairy free chocolate chips. Mix together and roll into 1 teaspoon balls.